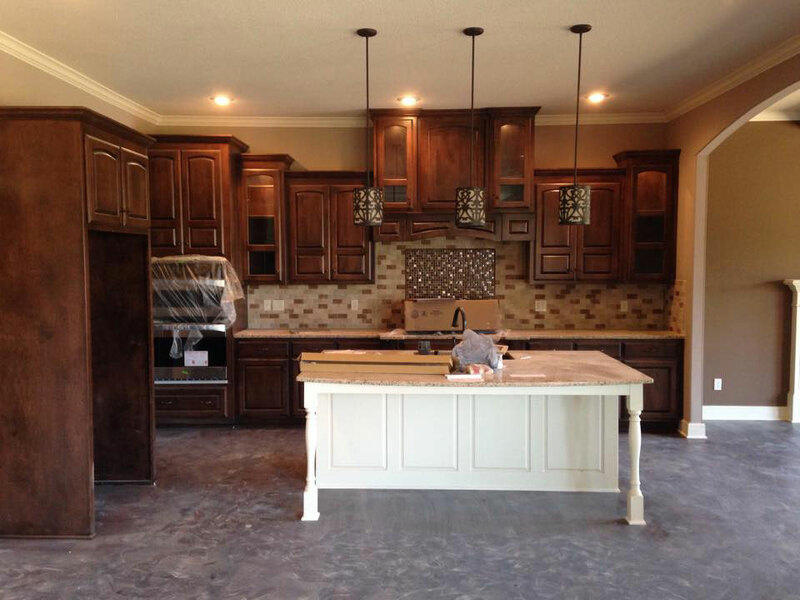 There aren’t many home remodeling projects that are more exciting than sprucing up your kitchen. While you may be redoing your kitchen to replace the outdated features with more modern elements, you may also want to increase storage space or earn a greater resale value with new additions. Regardless of your reasons, there’s a decision you’ll need to make regarding the overall feel and look of the new kitchen space – the cabinets. There are a wide array of finishes, styles and layouts available for modern kitchen cabinets. One of the biggest decisions is selecting between light or dark colored products. This is the choice that sets the stage for the remainder of the design details that you are going to finalize. Keep in mind, both styles offer an array of benefits, but you should also consider the use of contrast in your kitchen to help prevent an uninspiring, monochromatic feel to this important room in your home. The good news is, there are more than a few ways that you can highlight the beauty of your light or dark-colored kitchen cabinets, by thinking about how you can contrast the style details. In the long run, this will help to turn your outdated space into a complete showstopper. Choosing dark kitchen cabinet provide a warm, rich and high-end look. If you are planning to use dark colored cabinets, then you should also figure out how you can explore highlights and contrasting colors with your countertops, backsplashes, floors and other features. The traditional, light colored cabinets are popular for small, gallery style kitchens because they can help the space seem bigger than it really is. Even though you are going to be using light-colored cabinets, it doesn’t mean you have to sacrifice a look or feel of drama. You can do this by implementing darker colors at the kitchen island, by implementing woodgrain colors and choosing darker hardware. Regardless of if you are talking about a kitchen remodel or the nuances of art, the concept and idea of contrast is likely to come up. The good news is, there are several ways to enhance the impact of both dark and light-colored cabinets. Regardless of how big or small your kitchen may be, contrasting the color will go a long way to make the “heart of the home” a place you want to spend time. If you aren’t sure about what colors are right for your kitchen, then it may be a good idea to work with the professionals. They will be able to provide more information about the options and ensure that you get the look and style you have been dreaming of. Being informed and having professional help is the best way to ensure that the desired results are achieved.